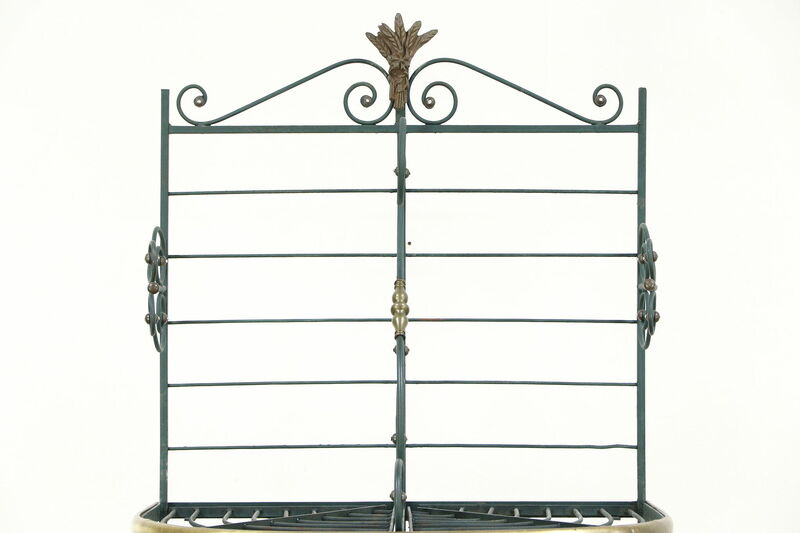 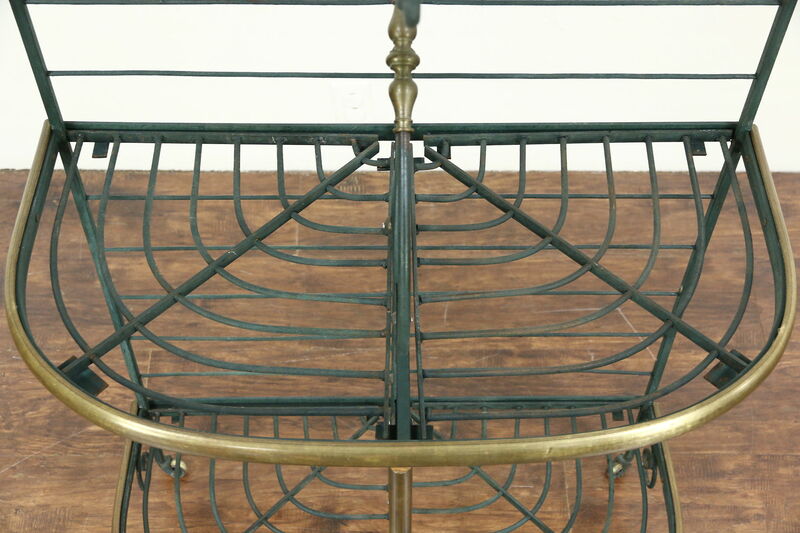 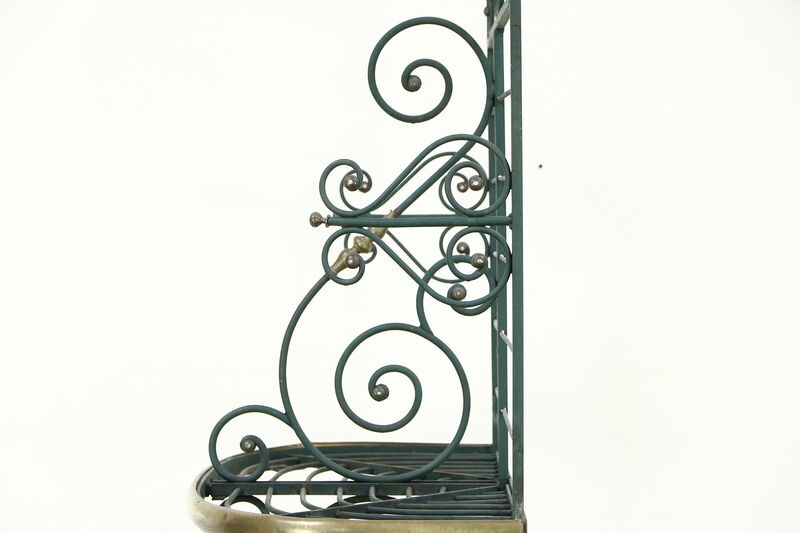 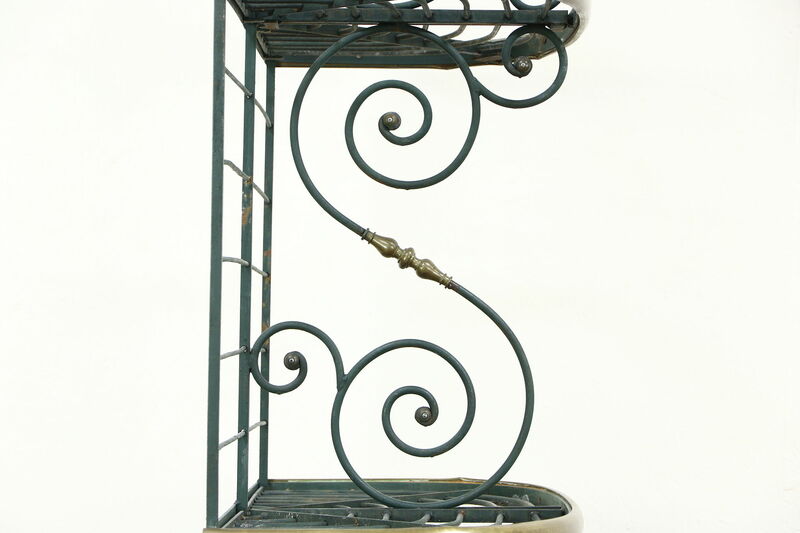 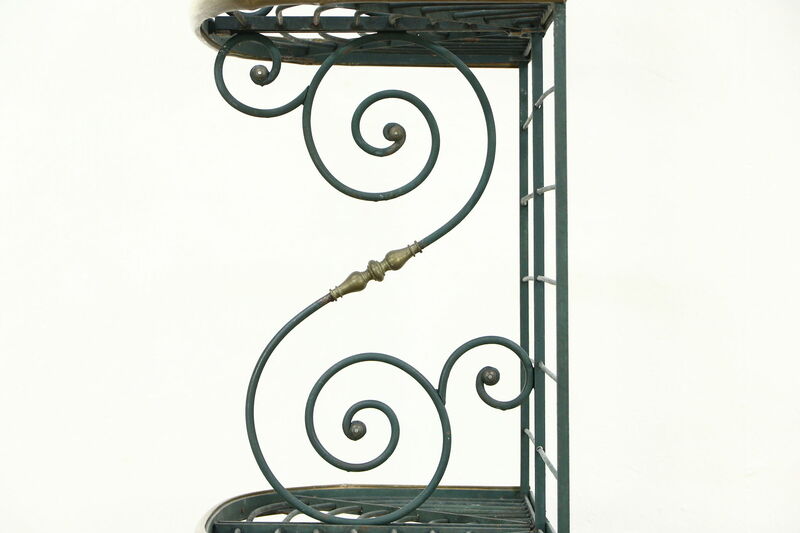 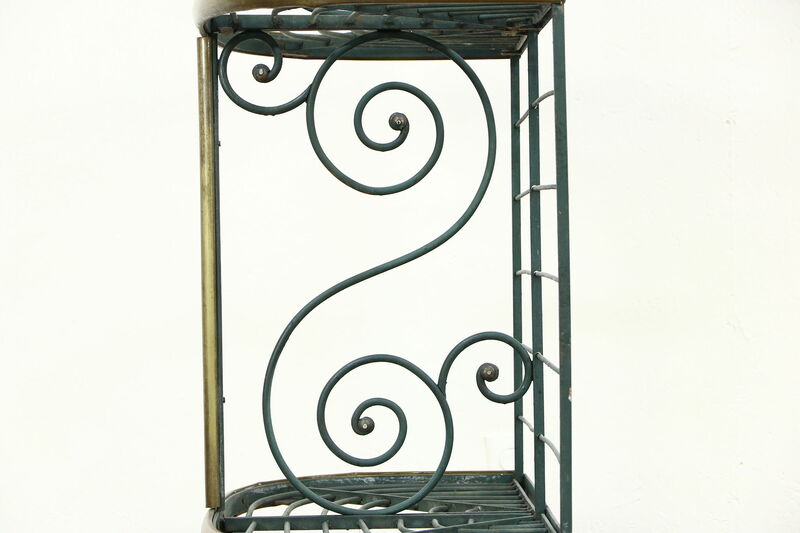 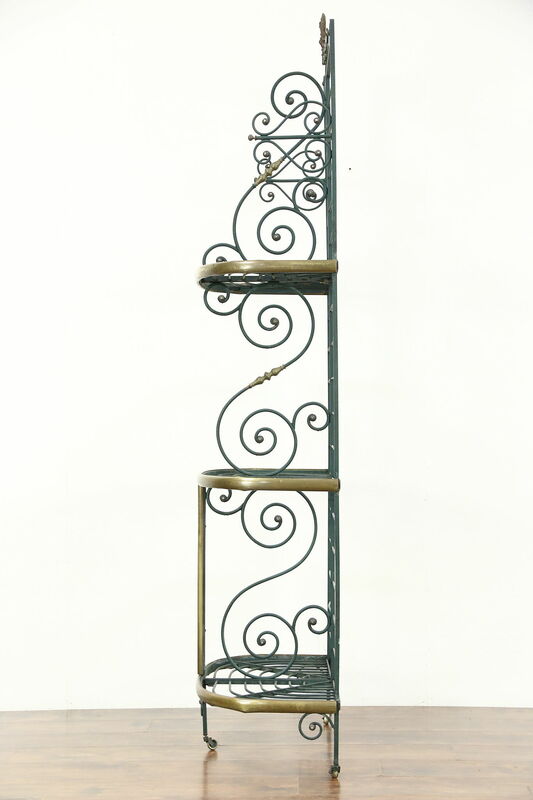 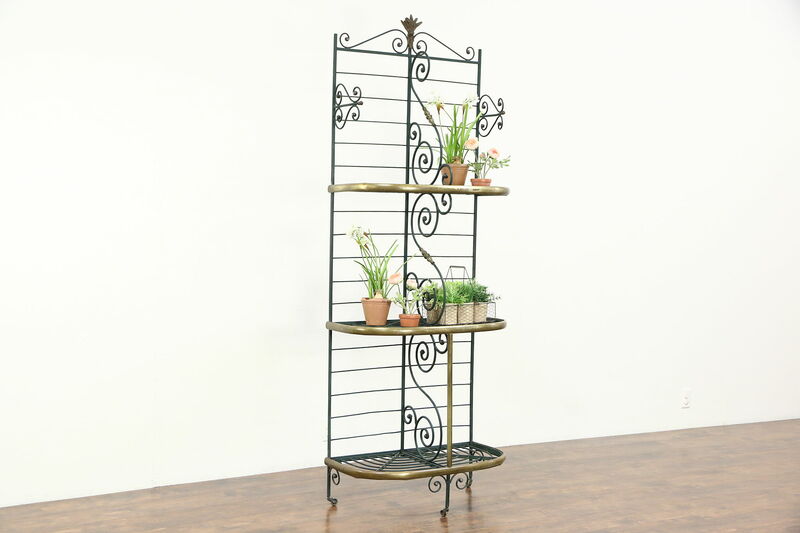 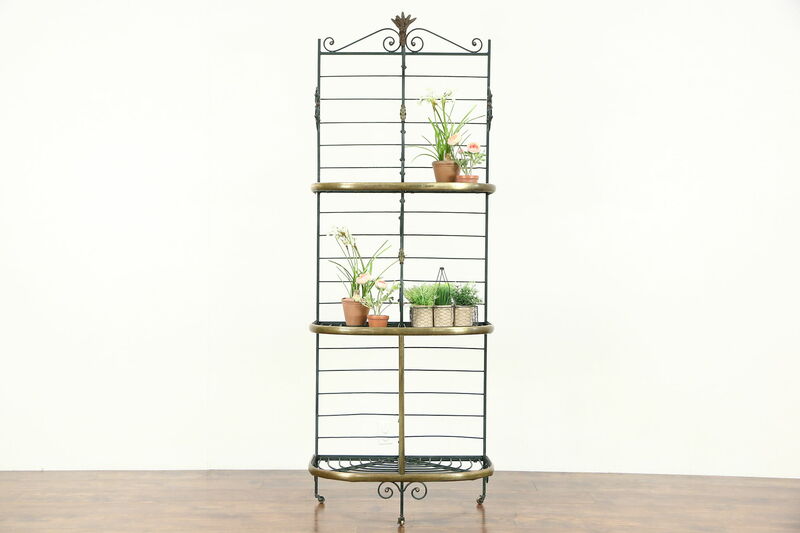 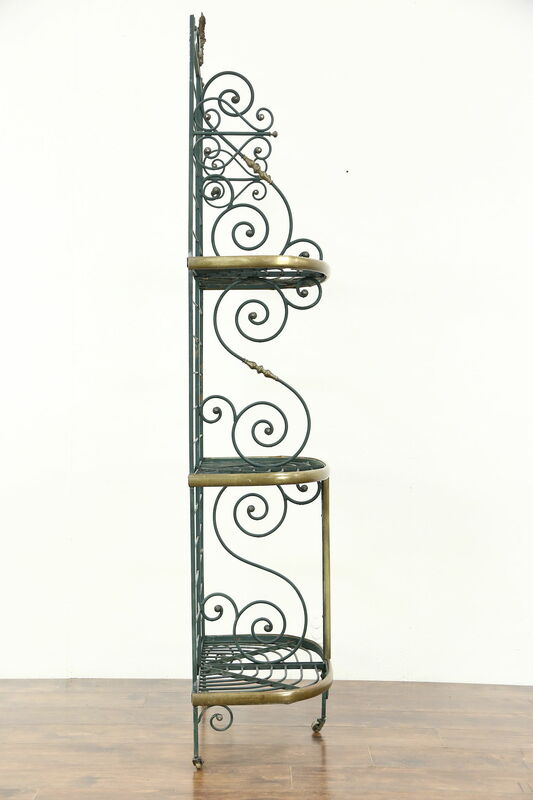 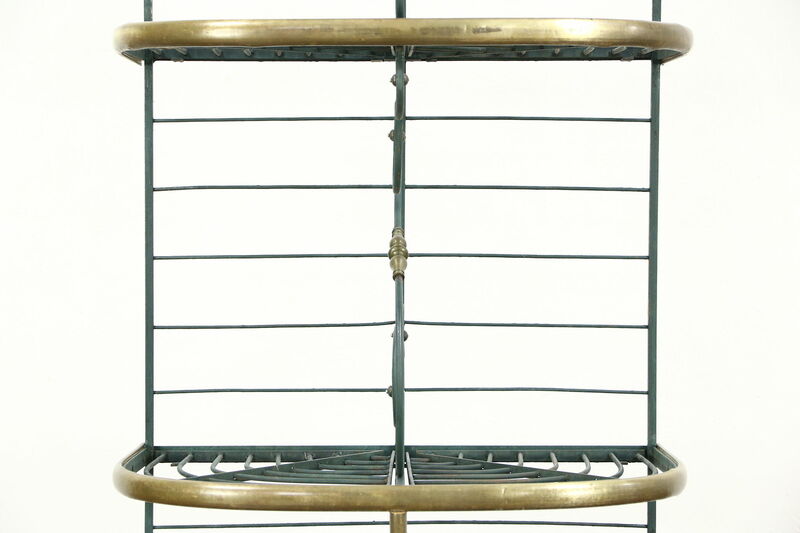 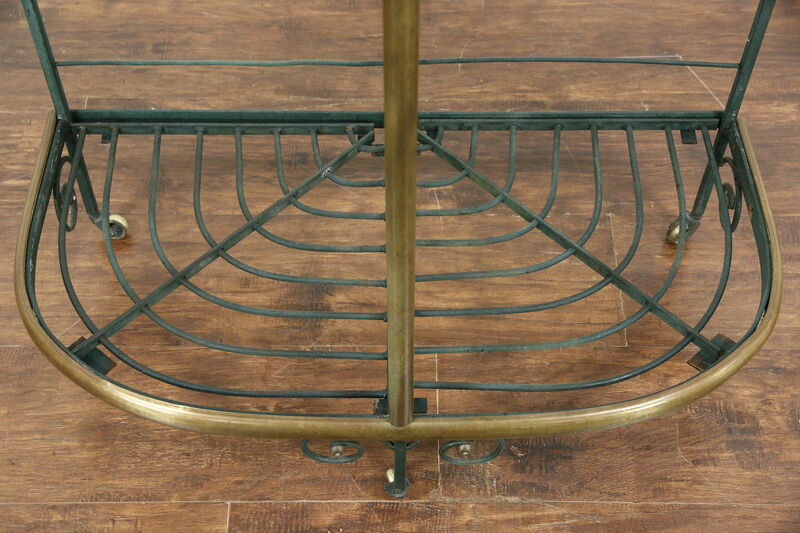 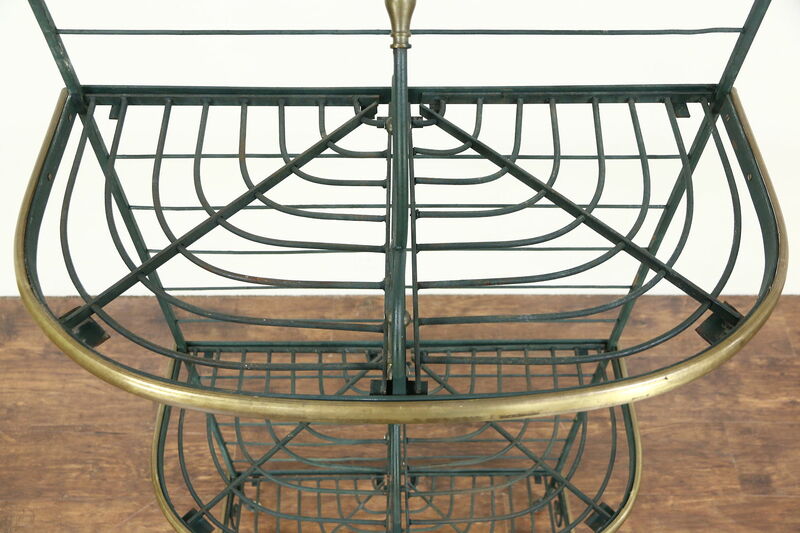 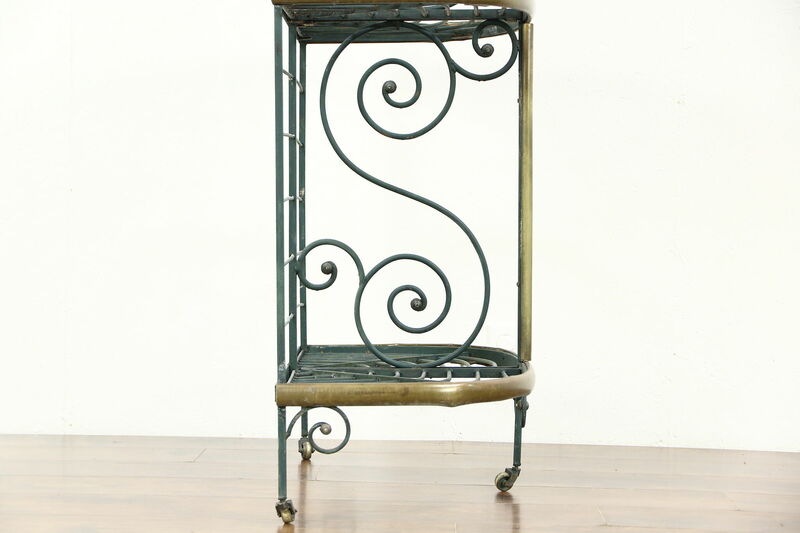 A traditional French wrought iron and brass baker's rack is about 50 years old. 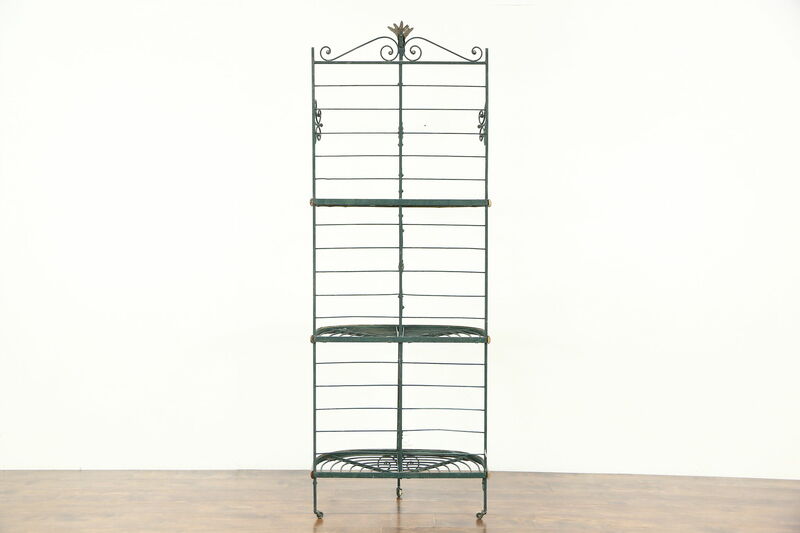 The worn green paint is original on this classic kitchen pantry furniture. 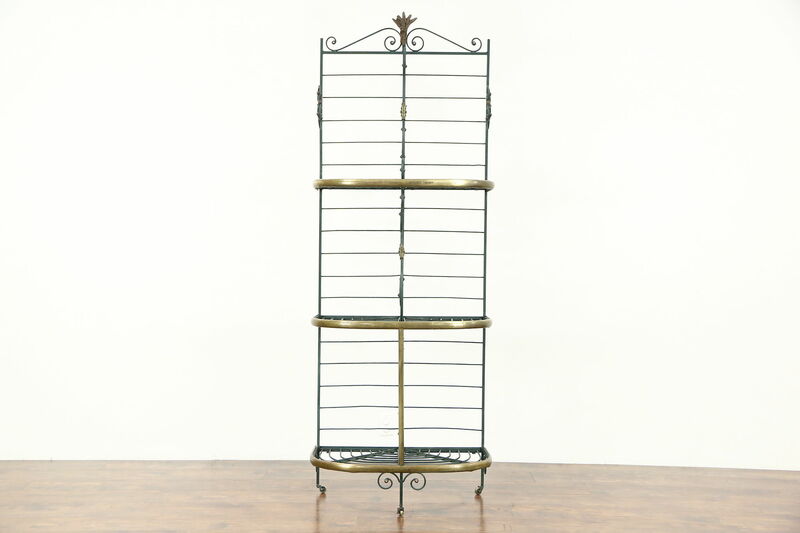 Grill work shelves lift out. 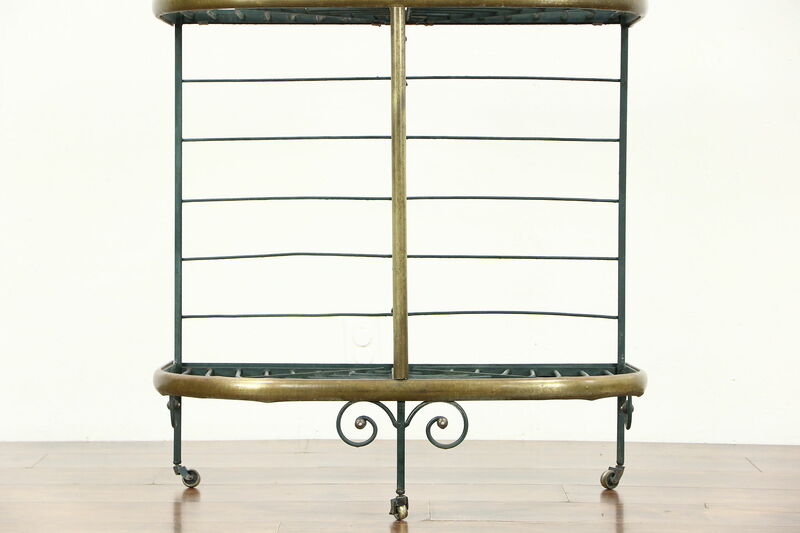 The brass has nice tarnished patina. 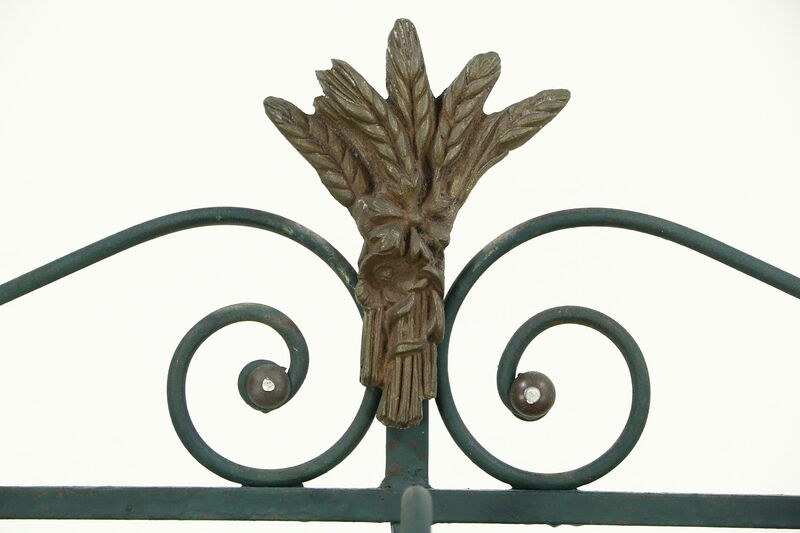 Rugged and sturdy, the brass wheat finial is a nice touch. 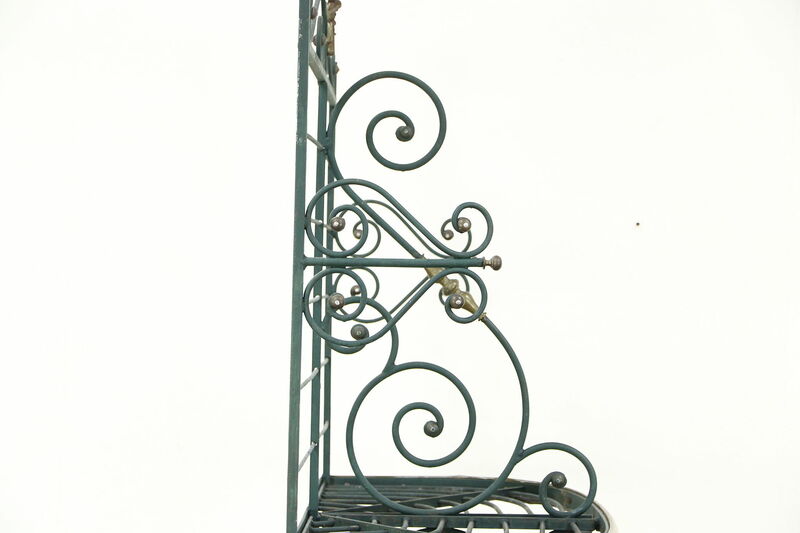 Size is 31" wide, 17" deep and 7' 1" tall.